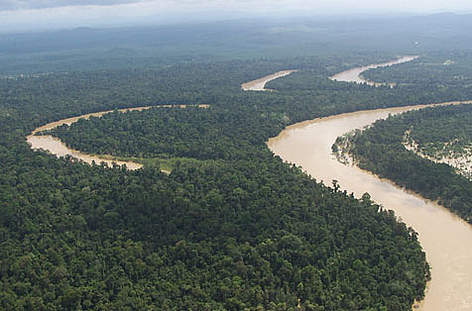 The Kinabatangan floodplain is an area of enormous importance for wildlife and and the local community. What is Kinabatangan - Corridor of Life? WWF-Malaysia’s Kinabatangan - Corridor of Life project aims to establish a balance between the growing demands of private land development (such as forest conversion), the local community and the need to protect its unique wildlife. Located on the east coast of the Malaysian state of Sabah in Borneo, it is arguably the last forested alluvial floodplain in Asia and an area of enormous importance for wildlife and the local community. 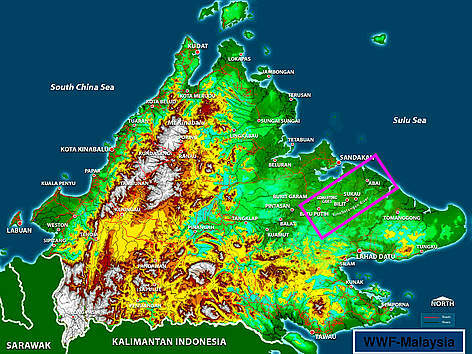 Consequently, some over-logged forests in Kinabatangan were re-designated for permanent conversion to agriculture, mainly to oil palm plantations in the 1980s. Oil palm soon became the dominant commercial crop in the area and still is today. WWF-Malaysia and various stakeholders’ conservation efforts in the area were successful when in 1999, the state government declared the Lower Kinabatangan as Sabah’s ‘Gift to the Earth’. Following this, in 2005, a total of 26,000ha was gazetted as the Kinabatangan Wildlife Sanctuary under the state’s Wildlife Conservation Enactment of 1997.